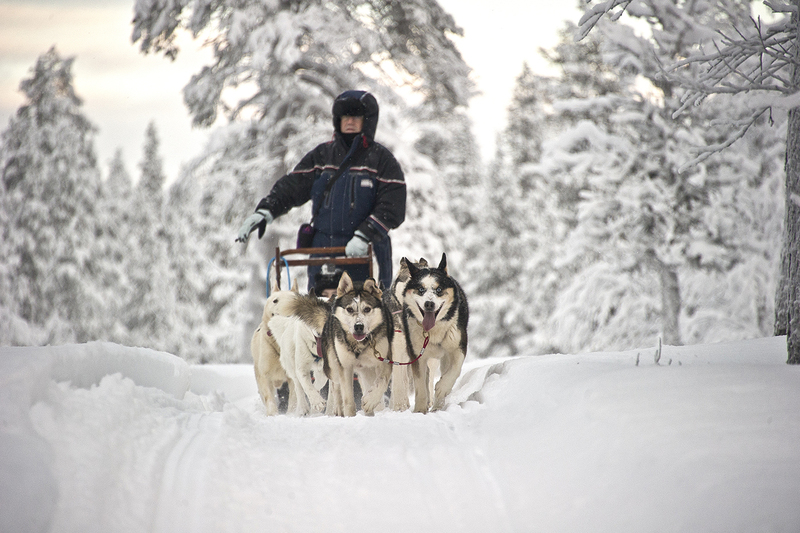 It is "a must" to have husky safari, when you´re in Saariselkä! You will be picked up and after 10 min ride we are in huskyfarm, where guides are waiting for us. Thermal clothing will be changed on (overall, boots etc.) and before departure, we are given an introduction into how to guide a dog team and then we’re off. 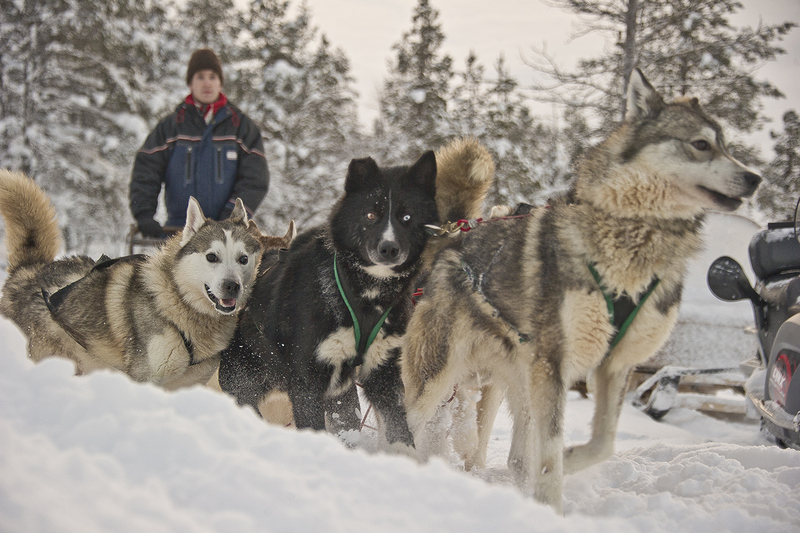 Eager huskies are waiting for pulling a wooden sleighs. 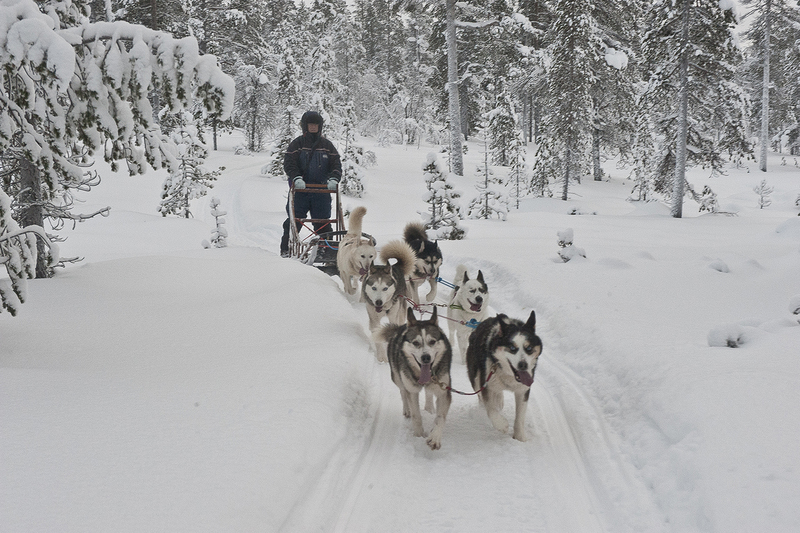 We’ll drive two persons per dog team: one person sits inside the sled while the other steers the team standing on the runners of the sled. We´ll drive approx. 2 h (16 - 18 km). Some stops for breaks and photographing will be held and shifts for riding can be changed. Soup lunch will be served at a hut. Before heading back to Saariselkä, you can meet husky puppies and see how they live. Winter 2087-2019, updated 06/18. We reserve the right to make changes.